This post is long overdue... after I returned form my travels I have struggled to get everything onto my blog. Whilst I was away, my good friend had a new baby. And this is what my mum created for me to give as the new baby present. 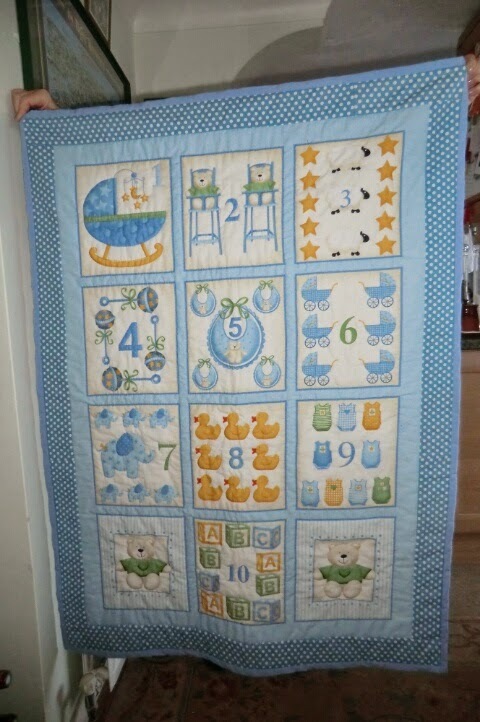 A handy quilted blanket... which doubles as a counting chart for her elder son too. The baby room is bear themed so I'm hoping they have been using it lots since I gave it to her in January. I will be sharing some of the other quilting projects created by my mum from time to time... they are just too good not to show you :).